A couple of months ago, I received Sean Conway’s book Cultivating Life as a gift from my parents. Thumbing through the book, I took note of a number of projects. One project in particular grabbed my attention and left me helpless against the urge to run to Home Depot and start building. 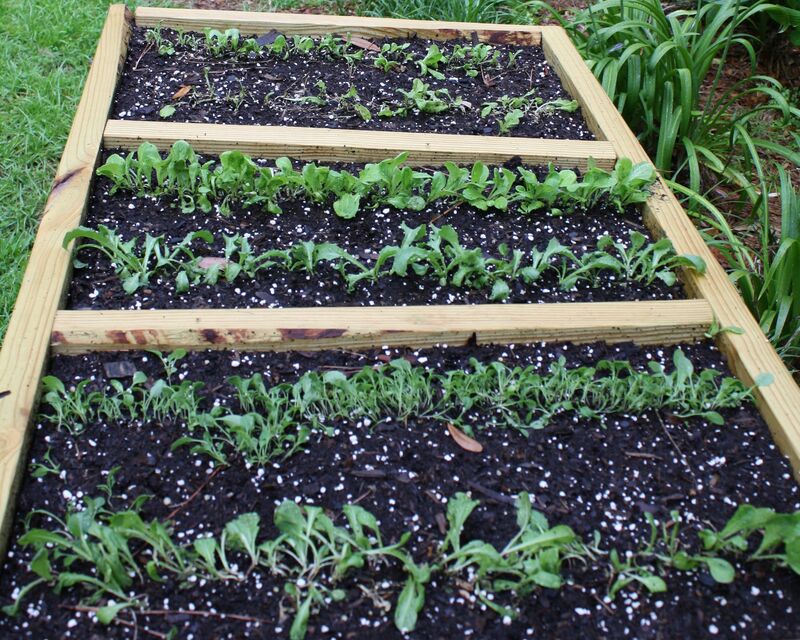 After making the list, buying the supplies, and checking the weather forecast for rain, I immediately began work on my Portable Salad Greens Table. 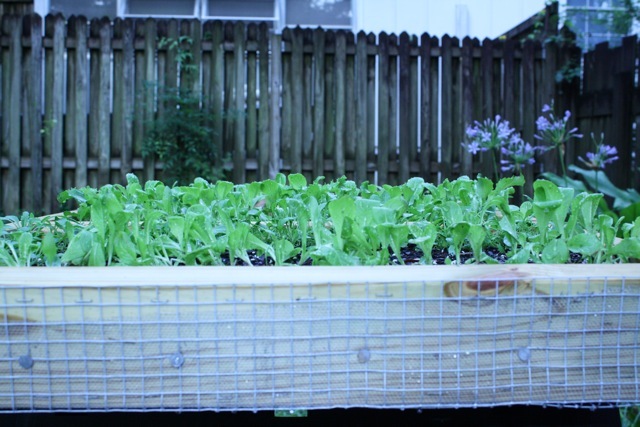 After a couple of hours in the backyard, I turned wood, screws, window screening, mesh hardware cloth, nails, staples, and dirt into a small garden box for salad greens. 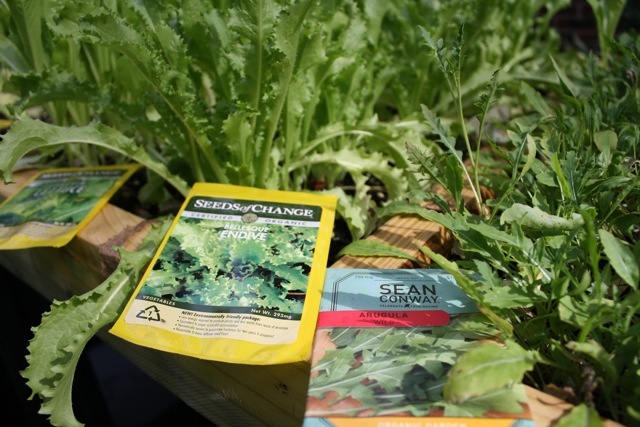 I checked Target and New Leaf Market, our local co-op, for lettuce seeds and came home to plant Jericho Lettuce, Red Oak Lettuce, Little Gem Lettuce, Bellesque Endive, Wild Arugula, and Sweet Valentine Lettuce. When our friends hosted an indoor barbecue last week, I checked and the salad greens were ready to be harvested. After harvesting the salad greens, I cleaned them well and dried them using a salad spinner. I then added some heirloom carrots slices, a chopped orange pepper, Sahala Snacks brand Valdosta pecans nut blend, and organic feta cheese. The garden grown salad greens had a more robust flavor than most of the salad greens I have purchased from the grocery store in the past. 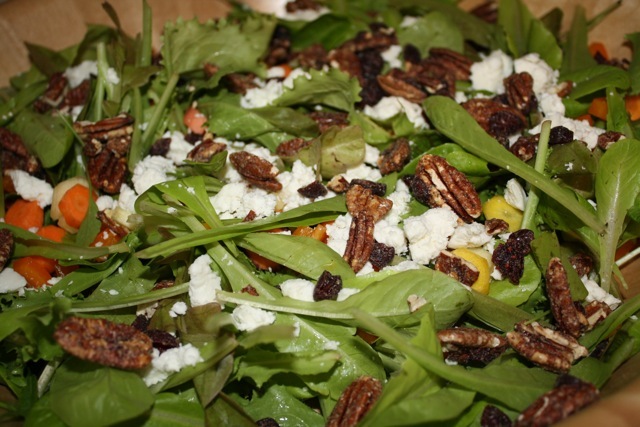 The wild arugula had a distinctively peppery taste that complemented the feta cheese and the pecans while the Bellesque Endive had a bitter, but not unpleasant, taste. The heirloom carrots rounded out the subtle earthy taste that should be characteristic of every good garden salad. 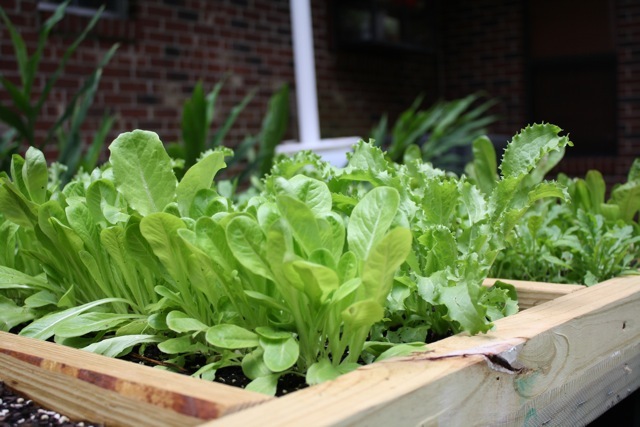 We’re looking forward to more delicious salads from the salad greens table garden! Next PostNext It’s All Greek to Me!